It’s been almost 20 years since a fundamentalist Islamist regime unleashed unprecedented levels of violence and terror on Sudan. Now Khalid Mustafa Medani is exploring the socio-economic conditions that gave birth to this dark period in his homeland’s history and continue to drive the worldwide politicization of Islam in the 21st century. This objective led Medani into what has become one of the most topical fields of academic study: the roots of militant Islam. 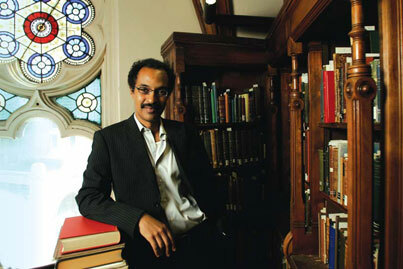 In 2007, he was among 21 scholars awarded prestigious Carnegie Scholarships from the Carnegie Corporation of New York, a philanthropic organization dedicated to “the advancement and diffusion of knowledge and understanding”; all of the 2007 Carnegie scholars were chosen because their work explores themes relating to Islam and the contemporary world.